Thursday 4th April - This was my third outing into the East London hipster territories since the blog started. My sister's boyfriend has just moved to Hoxton which gave me an excuse to explore some new places with them. I put my hipster green jeans on and met my sister, Emily/Embob/Bobster etc, at Exit 2 of Old Street Station. Our first stop was Rotary Bar and Diner (not near Exit 2 - Old Street Roundabout 1-0 Team List) which is part of the Rushmore Group (Milk and Honey, The Player, Giant Robot, Redhook and Danger of Death). 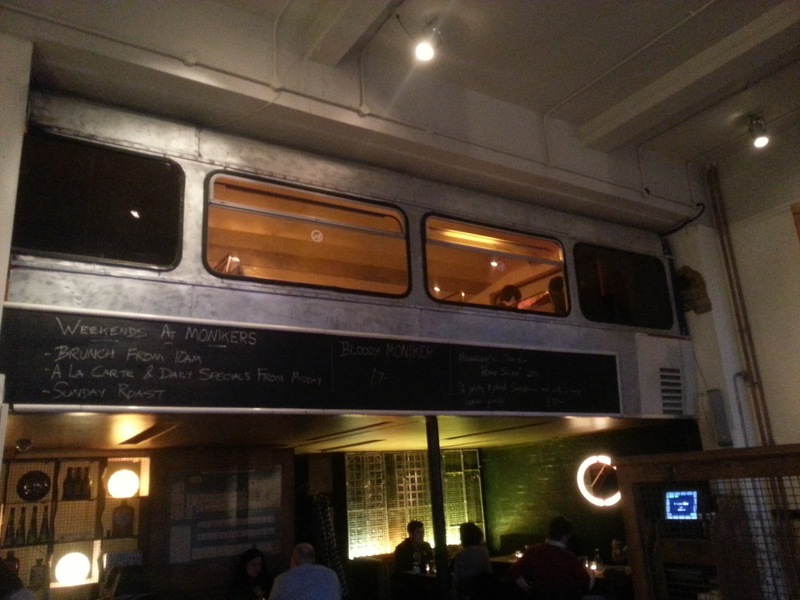 Downstairs is the Rotary Bar which is a members only drinking den, but upstairs is the more relaxed diner. Embob and I ordered a £10 'Giant Mojito' (one of six pint-sized cocktails on offer) which was presented in a Boston Shaker. It took us a while to drink despite being excellent and is great value at a tenner. Rotary is a temporary installation as building works are due to take place, though I assume they will move on to somewhere else, or return when work has finished. The food looked good but we were saving room for other things, starting with Yum Bun. 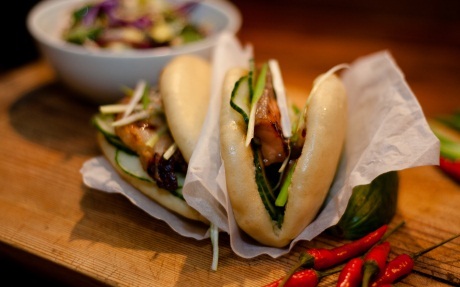 Yum Bun serve up tasty, tiny steamed buns (known as 'Gua Bao' in Thailand) with fillings inspired by Chinese and Japanese flavours, for the cheap price of £3.50 for one or £6 for two. They also have bento box deals and a dessert bun option with ice cream provided by Sorbitium Ices. They are currently stationed right next to Rotary, having moved up in the world after starting life as a Street Food Van. 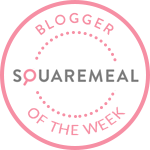 Our buns were satisfyingly squishy and moreish, and were served with a smile and a chat! After swiftly despatching the buns that were yum, we tried and failed to get in to Nightjar without a booking (not sensible unless you arrive outside 10 minutes before it opens), but we weren't really expecting success anyway. I will plan a trip more carefully at some point. 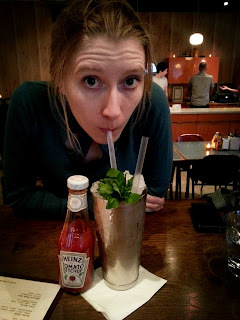 We wandered off towards Hoxton Square to try out a couple of bars. On our way there, we spotted a cluster of hipsters on the street drinking weird fizzy drink based cocktails out of plastic cups. 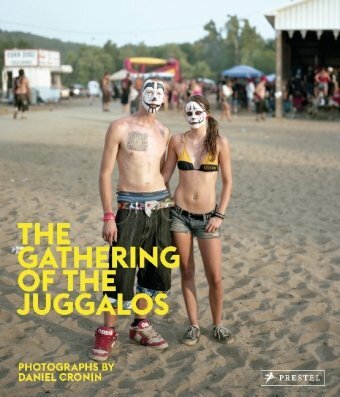 This turned out to be the book launch for The Gathering of the Juggalos - a collection of photos covering a five day festival attended by 'Juggalos' (the followers of horrorcore rap group Insane Clown Posse apparently - Wikipedia tells me that I am not to confuse horrorcore with terrorcore, obvs). We had some vodka mixed with Faygo (the soft drink often referenced by Insane Clown Posse, keep up! ), some milk duds and a jello shot before running away. We didn't have to run far to reach Happiness Forgets, a hidden underground bar on Hoxton Square with a fantastic reputation. It was very busy when we arrived but one of the bar staff took my number so that he could text me when a table became free. 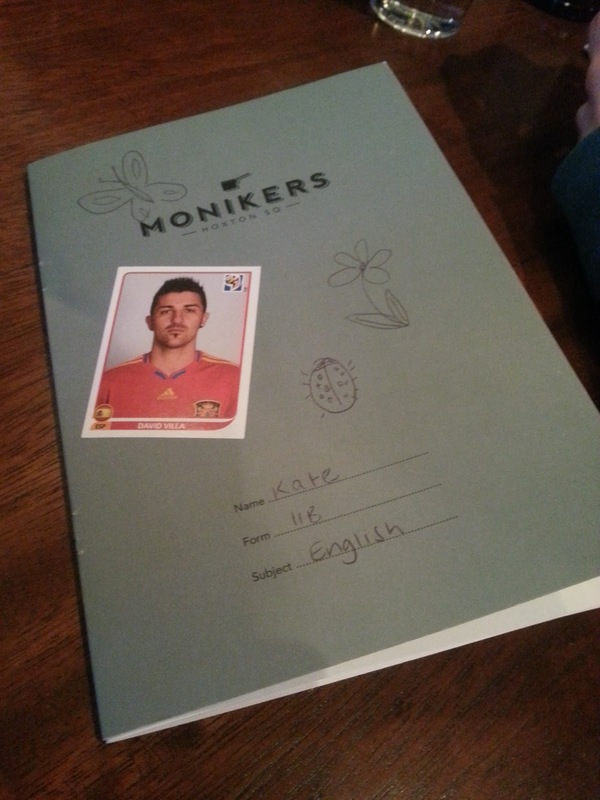 We decided to stay nearby so we popped into Monikers, a new school-themed restaurant and bar that has recently opened. It was pretty quiet, but I would imagine it won't be long before this place is packed, as they have put a huge amount of effort into the décor, as well as the food and drink. 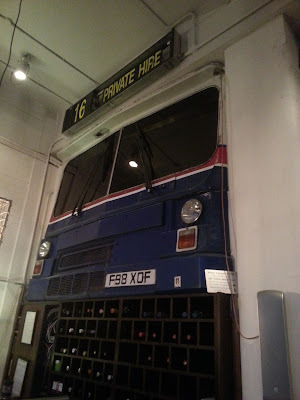 The menus are presented as old text books with doodles all over them, tables have drawers filled with crayons and football stickers, and there is even a school bus area upstairs where you can draw on the walls - the whole bus can be hired out if you so wish. Alternatively, ask for the bus driver table when booking for a fun experience! We were well looked after by Gianluca and his staff at the bar and I hope to return soon for the full restaurant experience. We just stayed for one however, as I received a text with good news. Em and I hopped back over to Happiness Forgets to claim our table. We were still waiting for Al, who was stuck in his flat waiting for someone to arrive, so they put us in a cosy spot for two (with just enough room for a third). The bar was buzzing, helped by the candlelit speakeasy vibe (though slightly hindered by the loud music that just didn't fit in my opinion) and we set about choosing some cocktails. Our first two (Mr. McRae and Perfect Storm) were outstanding, rivalling the best drinks I have had so far from Candaleria in Paris. Albert Sq. finally arrived in Hoxton Sq. and started playing catchup with a Dapperman Sour and some Dutch Courage whilst we waited for some Roast Potatoes with Chipotle Mayo (food provided by Master and Servant upstairs). After a while, one of the staff came to tell us that they had sent the food back as it wasn't good enough for us, and that it would be free of charge! When it did turn up, it was delicious. With money to spare, we ordered some Honey and Pistachio doughnuts as well. The service was top notch (though they didn't put any on the bill as it was obviously not up to their high standards!) and it's easily one of the best places that I have been to so far. They take bookings but only up until 8 - after that it is a friendly free for all. 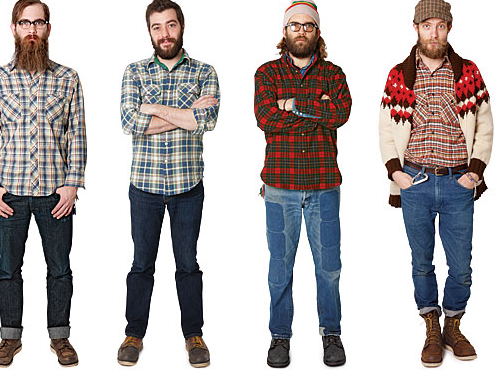 Growing a massive beard and wearing a checked shirt is advisable if you want to fit in with the Kings of Leon-esque hipster/lumberjack look - follow the link or see below for ideas. 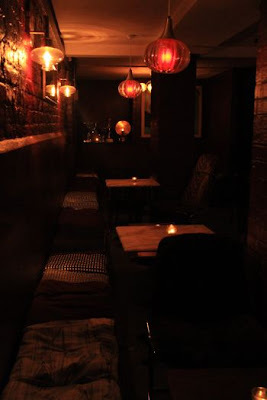 We decided to pack in one more place before my last train from Shoreditch High Street so we sped over to the recently opened Looking Glass Cocktail Club on Hackney Road - the second Alice in Wonderland themed bar in the area along with Callooh Callay! Apparently it is normally very busy with queues outside but it was totally empty. The friendly owner (who was either fully in character or on crack) took us "through the looking glass" into an even emptier room filled with mismatching retro furniture that probably looks a lot better when the place is full. 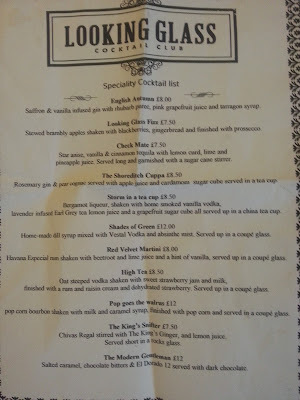 However deserted it was, I can't fault their cocktails! 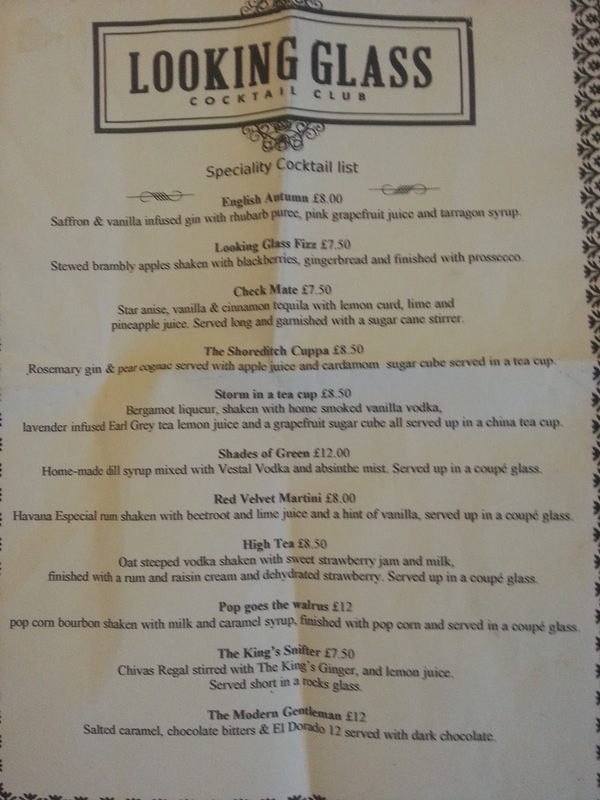 Their list is really interesting so it's a shame I had to rush my decision - I went for a drinkable Pop Goes the Walrus (made with pop corn bourbon) whilst Alistair was very happy with his Shades of Green (vodka, dill syrup and absinthe mist). They also very kindly made Em a fun mocktail for not much extra charge when she ordered a fruit juice. The invention on show is matched by the taste, which reminds me of Southsider Cocktail Club in Battersea. 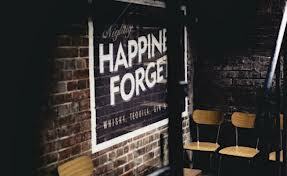 It is nowhere near as intimate as Happiness Forgets, but it's not trying to be. Probably best to head here at the weekend - supposedly they sometimes have entertainment (not sure what exactly) in the larger room. 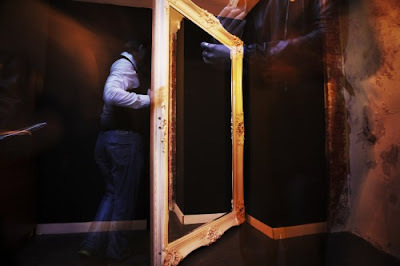 Alternatively (or additionally) head to the popular Callooh Callay cocktail bar around the corner for more Lewis Carroll-based antics - go through the wardrobe at the back to reach the hidden Jubjub Bar where you can find the Cantina de Cuervo Mexican pop up that is on until May 18th. The main bar is launching their hotly anticipated new cocktail menu on April 23rd.